Finding the right diet to help you lose weight may be easier said than done! There are so many diets to choose from that it can be hard to know which will work best. You may be struggling with your current eating habits and unsure where to go to keep up the weight loss. What should you do to promote more fat-burning through healthy eating? A high protein diet for weight loss may be just what you need. Read on to find out exactly how a higher protein intake can help you to drop pounds effectively! What is a High Protein Diet for Weight Loss? The average human tends to consume roughly 20 to 30% of their daily calories in protein: fish, poultry, meat, cheese, dairy products, legumes, nuts, and plant-based protein. This is a normal protein diet that is typically fairly healthy. However, a high protein diet is any diet that involves more than 35% of your daily calories coming from proteins. That means you’re eating as much protein as you are eating fats and carbs, compared to the average diet that ends up being around 40-50% carbs and 20-30% fat. 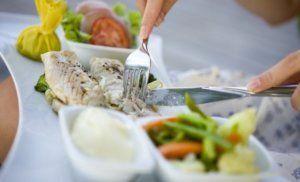 The Atkins Diet is one popular high-protein diet, and it has been ranked as one of the most effective diets for not only weight loss, but improved overall health. The South Beach Diet is another, as is the Zone, the Paleo Diet, the Dukan Diet, and the Ketogenic Diet. Faster Metabolism - This is the #1 reason most people eat more protein. Protein requires more energy to digest, so it uses the energy your body currently has stored. It also provides your muscles with more energy to burn, thereby contributing to greater energy expenditure during your workouts. You’ll find that protein is one of the best foods to boost your metabolism and give you a nice jolt of energy! Enhanced Fat Burning - When you consume high-fat foods (like many animal proteins are), you signal to your body that you are getting plenty of both calories and fats, so your body is less likely to go into “starvation mode” and conserve fats. A high-protein diet encourages better fat-burning because your body has a lot more fat available to burn. If you choose one of the high protein diets (Atkins, Ketogenic) that also restrict carbs to less than 25g per day, and cut out refined sugars your body will enter ketosis. This triggers your body to start burning fat for energy, instead of glucose. When you eat a lot of carbs and sugars the body burns glucose and conserves fat. There are many recent studies that show low carb diets provide faster and longer term weight loss than low fat diets.. Better Satiety - Protein takes longer to digest, so it sits in your stomach for longer. The longer your stomach is full, the longer you feel full and the less likely you are to snack or cheat on your diet. But protein also triggers the hormone leptin, which sends signals to your brain that you are satiated. It’s more than just a feeling of fullness; it’s a hormone-driven contentedness that tells your brain that you’ve had enough to eat. More Muscle Building - Your body can’t build muscles without protein, because the amino acids in protein are the building blocks of muscle fiber. Building muscles will help to increase your energy output and metabolism throughout the day, because muscles use a lot more energy than body fat. You’ll find that building more muscles is the key to better fat burning! Better Post-Workout Recovery - Your body needs protein in order to replenish the energy burned during your intense workouts. On a high-protein diet, you’ll have plenty of available protein, so your body will recover faster after an intense training session. Improve Cholesterol, ​Triglicerides, Blood Glucose Levels - ​The high protein and fat diets that restrict carbs (<25g) and sugars have been shown to increase the heart healthy HDL levels, while decreasing LDL,triglicerides, and ​blood glucose levels. 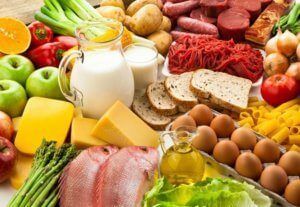 It is a high level of low-density lipoproteins (LDL),​and ​triglicerides that increase your risk of heart attack as they become part of plaque that can cause sudden blood clots that make heart attacks and strokes more likely. High-density lipoproteins (HDL) "good cholesterol" ​scavenges excess cholesterol in your bloodstream and takes it back to your liver, where it’s properly broken down​ and decreases your risk of heart attack. High Calorie Intake - Protein is very high in calories (thanks to all the animal-based saturated fats it contains), so it’s easy to go overboard in terms of calorie consumption. While more protein is good for your metabolism, you can’t forget the basic formula for weight loss: weight loss = calories expended > calories consumed. The risk of overeating on a high protein diet is very real! Bone Mass Loss - High protein diets can lead to bone mass loss thanks to the fact that long-term consumption of excess protein causes your body to excrete the calcium required to strengthen your bones. It’s something that takes years to occur, but it’s a problem you need to be aware of. 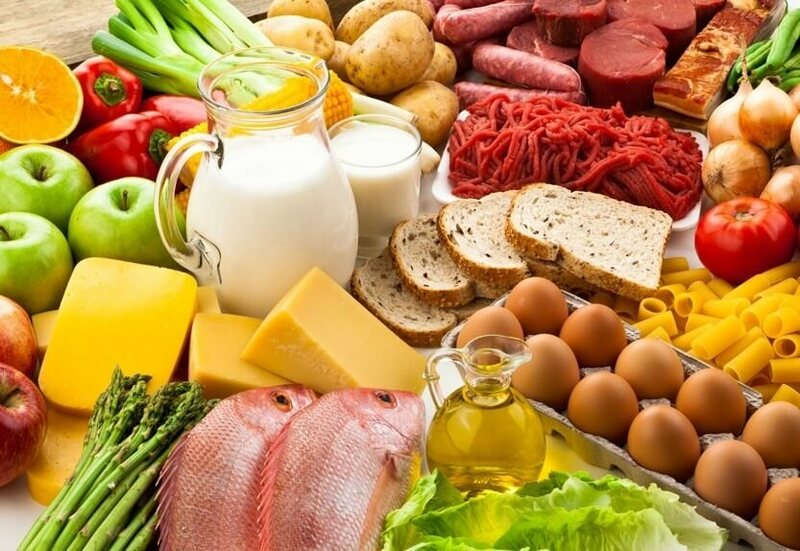 Kidney Issues - Animal proteins, in particular, can be hard on your digestive tract, and there are a lot of waste byproducts produced during the metabolism and digestion of proteins. If you’ve already got kidney problems, a high-meat diet can make it worse. If your kidneys are healthy, you have nothing to worry about, but those with kidney problems may find themselves at risk on a high protein diet. Ketosis - When your body breaks down fats for energy (common during low-carb diets), the breakdown process releases ketone bodies, or ketones. A buildup of ketones in your bloodstream can lead to ketosis, when your body starts to break down fat for energy rather than carbs. This is definitely a good thing, as it means your body is burning through your stored fat rather than the carbs you’re consuming. However, it does come with negative side effects, including fatigue, nausea, bad breath, and headaches. Ketosis can be dangerous for pregnant and breastfeeding women, and those with kidney problems need to be aware that ketosis can make the problems worse. Should I Try a High Protein Diet for Weight Loss? If you are a healthy individual looking for a way to lose weight, burn fat, and boost your metabolism, a high protein diet may be a great way to help you achieve your goals. Eating more protein has been proven to have definite benefits, and you’ll find that it may be the solution to helping you kick your fat burning and weight loss into high gear. However, be aware that there are potential downsides, and keep a close eye on your overall health as you diet. If you notice any problems, take a break from the high protein diet to give your body time to recover. Be smart and safe, and you’ll see the results you want! I would like to try the high protein diet.